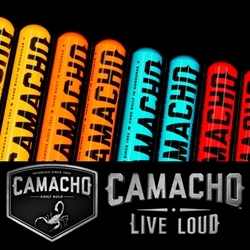 Introducing the Camacho Bold Anytime Robusto Tubos Cigar Sampler kit with Tactical Knife. This 8-Cigar assortment is a limited edition package that includes eight flavorful hand-rolled premium cigars and one Camacho tactical knife. All of the premium cigars featured in this sampler are highly rated at 90+. Inside this package you will find two Robusto Tubos each of the following styles: Camacho Criollo, Camacho Connecticut, Camacho Ecuador, and Camacho Corojo, plus one Camacho tactical knife. This hand-rolled premium cigar sampler makes a great gift for a friend or loved one! Pick one up today for a discount price! Call us for more details!